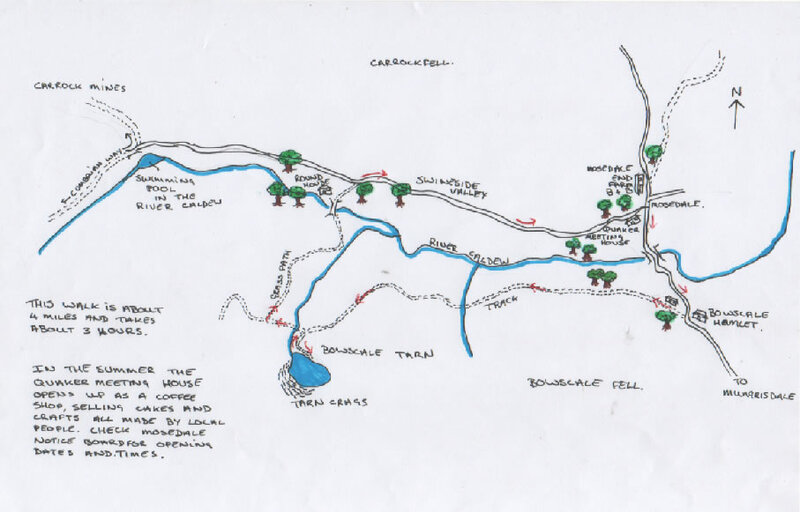 We are really well placed when it comes to walking and not only do we have a number of walks available from the door and we are located within easy reach of Keswick, Ullswater and Caldbeck, which all offer a great range of walking routes to suit all abilities. Bowscale Tarn (pictured opposite), takes about 3 hours to walk the round trip to one of the lesser known tarns in the area. Small map provided in the guest information folder. In the summer, the Mosedale Quaker Meetinghouse opens up as a coffee shop, selling homemade soups teas & cakes for a local charity. Check with JoAnne for opening times. 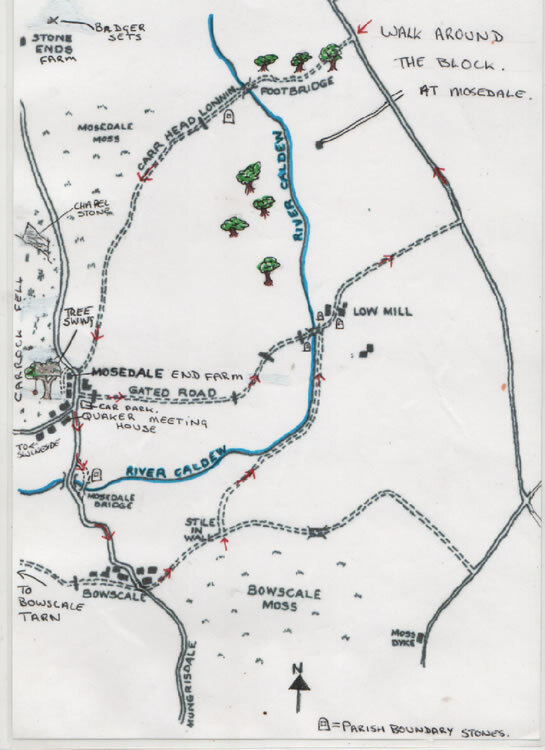 Other local walks include Carrock Fell, Mungrisdale Common, Bennerdale Crags, Souther Fell and Bowscale Fell. Carrock Fell is accessed directly from the back of Mosedale End Farm. Blencathra is our closest "major" Lakeland fell which is approximately 5 miles away. 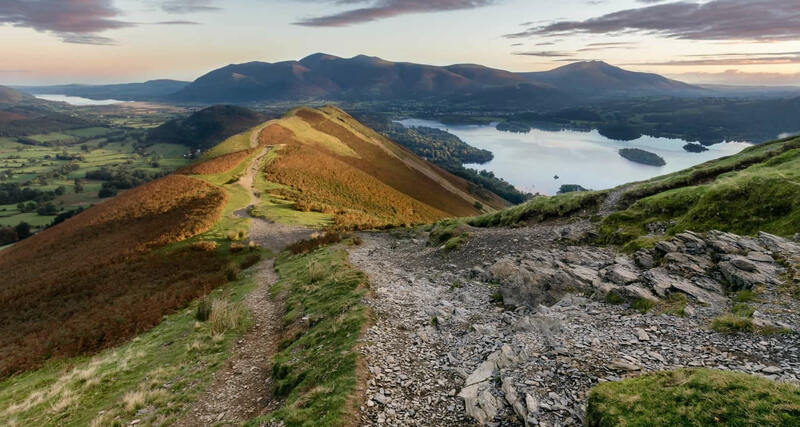 There are 214 Wainwright peaks and a great number of those can be found near to Keswick and Ullswater, both of which are approximately a 20-minute drive from the farm. These famous fells include: Skiddaw, Helvellyn, Catbells, Fleetwith Pike, Haystacks, Walla Crag, Latrigg and Dodd, just to name a few. 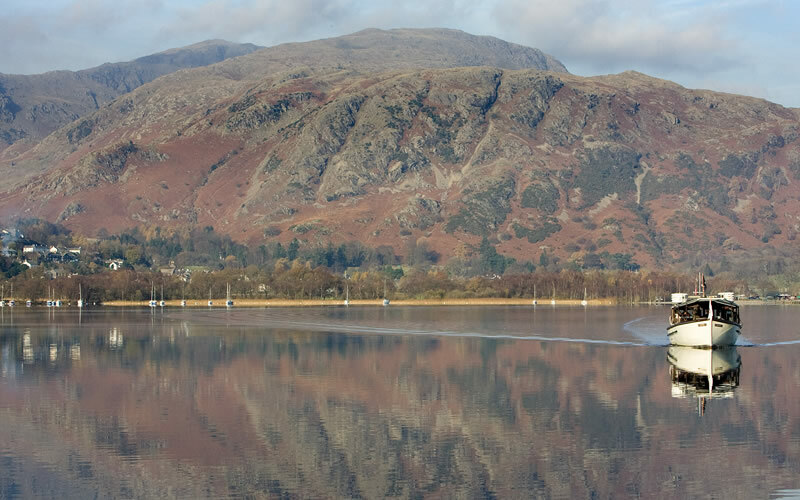 Below you will find an interactive guide to walking routes in the Lake District. 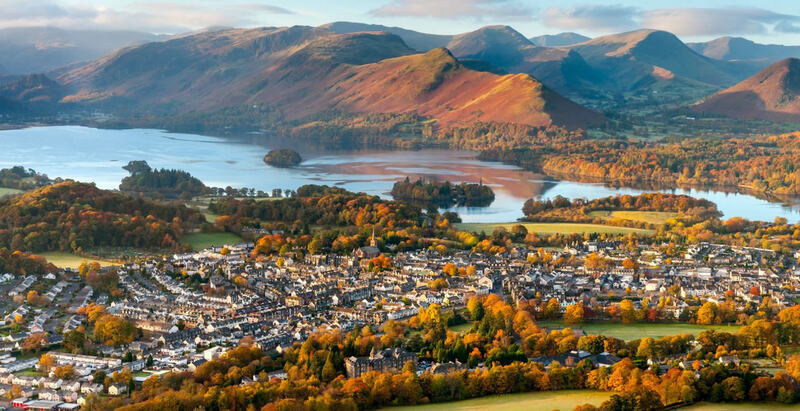 Keswick really has something for everyone and for any weather. For families, Alpacaly Ever After is where children can walk with Alpacas, The Lake District Wildlife Park - the award winning Cumbria zoo, crazy golf in Hope Park, free playground in Fitz Park and swimming at Keswick Leisure Centre. For indoors look to the many film screenings at the Alhambra Cinema and Theatre By The Lake. Adventure is what Keswick does the best. Honister Slate Mine home to Via Ferrata to experience mountain climbing via a cable on the majestic Fleetwith Pike. 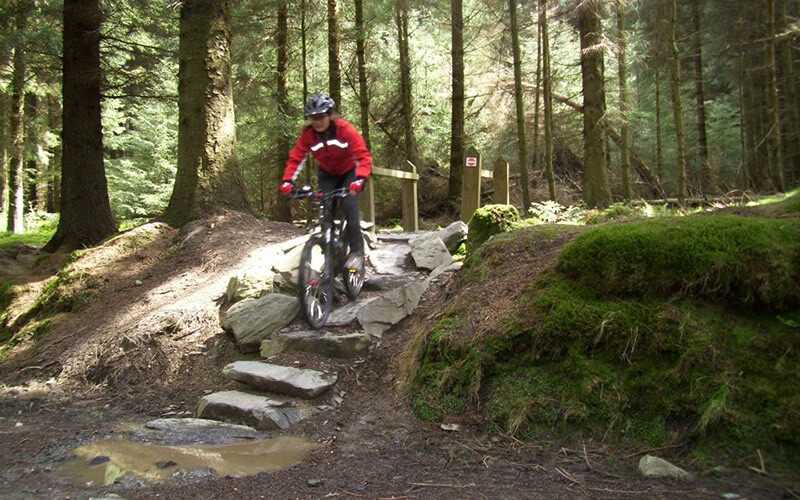 Also look out for Newlands Adventure Centre for a broad range of outdoor activities and Whinlatter Forest, England's only true mountain forest with walking routes, children’s play & adventure and mountain bike trails. Forgotten kit? No problem as George Fisher the award-winning outdoor gear shop offers a boot hire service. 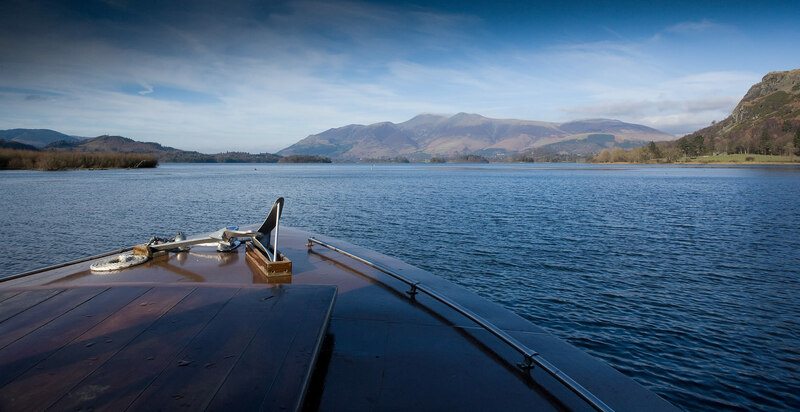 On the water, well Derwentwater is the place to head to. 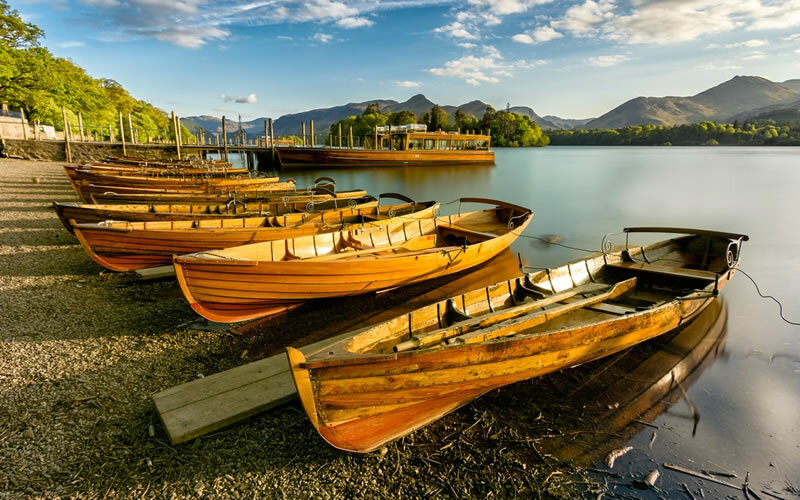 Derwentwater Marina for the Keswick Launch boat rides and Nichol End Marina offer boat hire, canoeing, moorings and plenty more on the water activities. One of the newest attractions and places to visit is the Lakes Distillery. 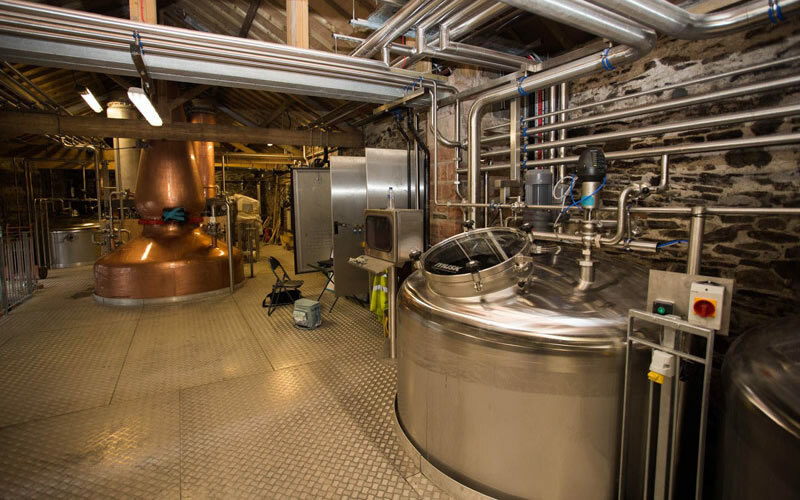 Book a tour, sample some of the Lake District’s first whisky blend and now single malt as well as their other spirits. Complete with a shop and a restaurant serving delicious food. The location beside Bassenthwaite is a delight too. 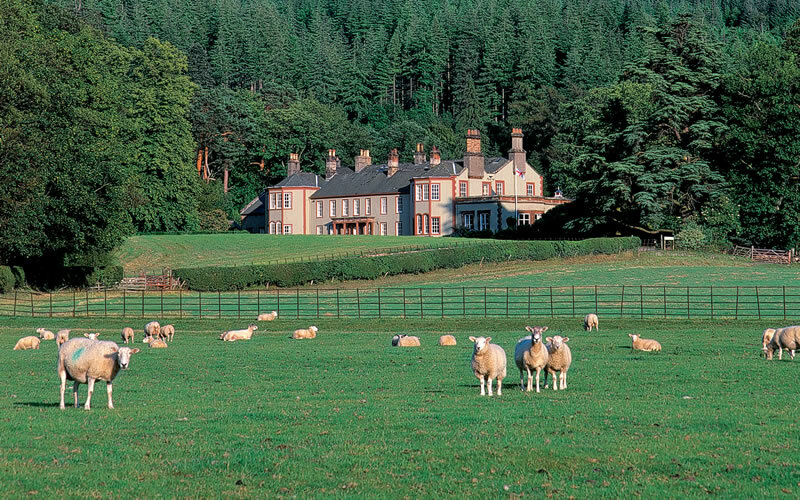 Whilst in the Bassenthwaite area Mirehouse & Gardens is a well worth a visit and also Dodd Wood for not just amazing views of the northern Lakes but it is also home to The Lake District Osprey Project where Bassenthwaite ospreys can be seen from the specially designed viewpoints from April to September. 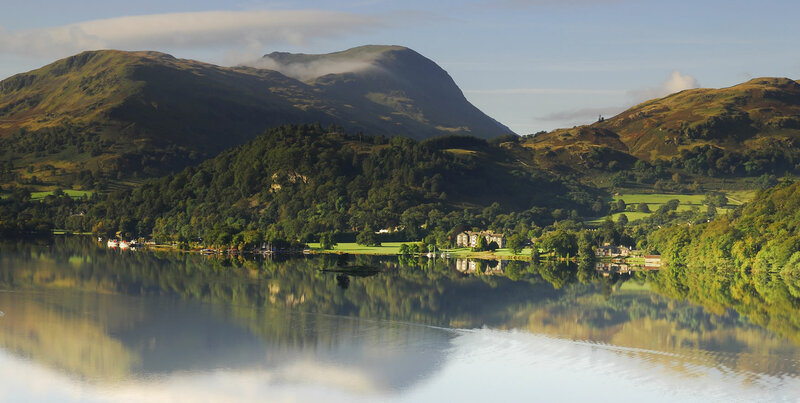 A short drive from Mosedale and Ullswater, the lake and area, is there to enjoy. Far quieter than Keswick and Derwentwater, the villages of Glenridding and Pooley Bridge lie at either end. 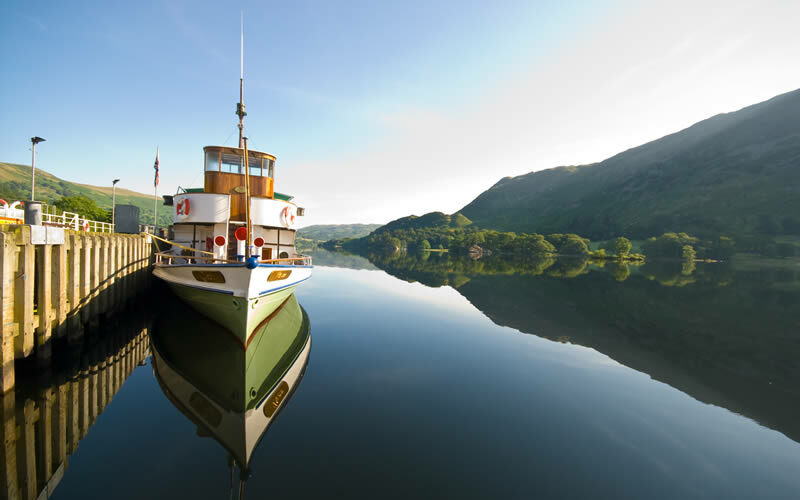 The Ullswater Steamers are a must trip cruising in complete relaxation and are also an excellent, car free way to travel up and down the lake. Pick up the steamer from various points including the beautiful Aira Force waterfall. 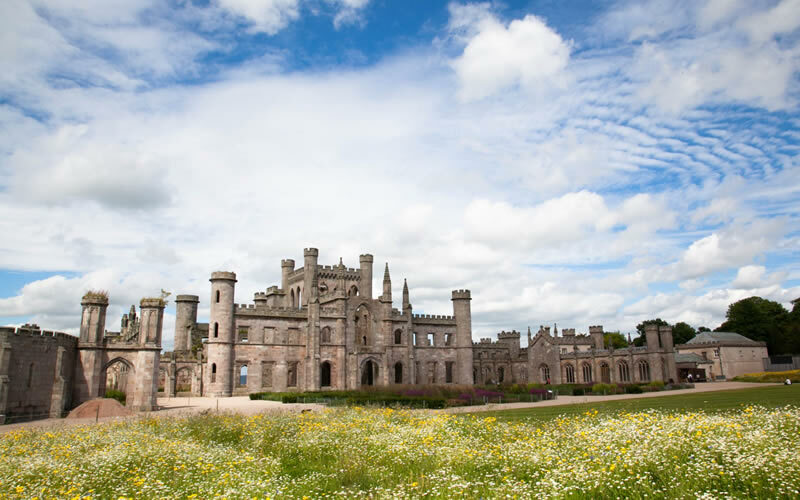 For historic houses and castles, this region is a delight with Lowther Castle & Gardens, Penrith Castle, Hutton in the Forest and Dalemain House & Gardens. Also look out for the Upfront Gallery in Hutton in the Forest. 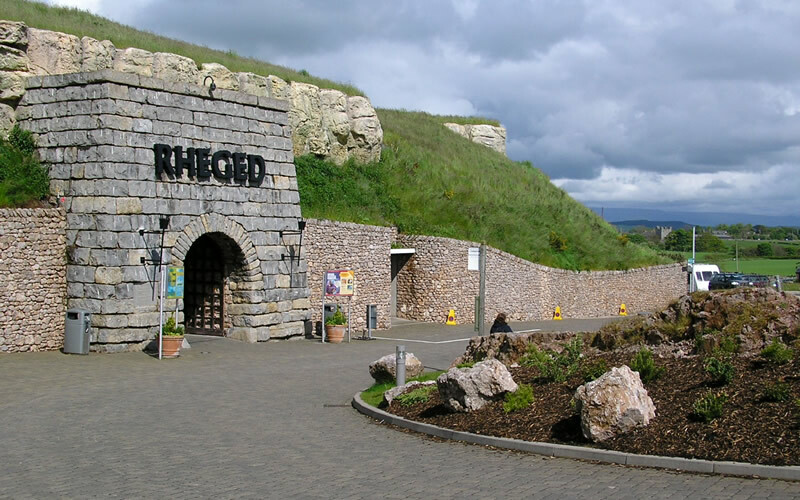 Rheged is quite a special place and a true family destination. 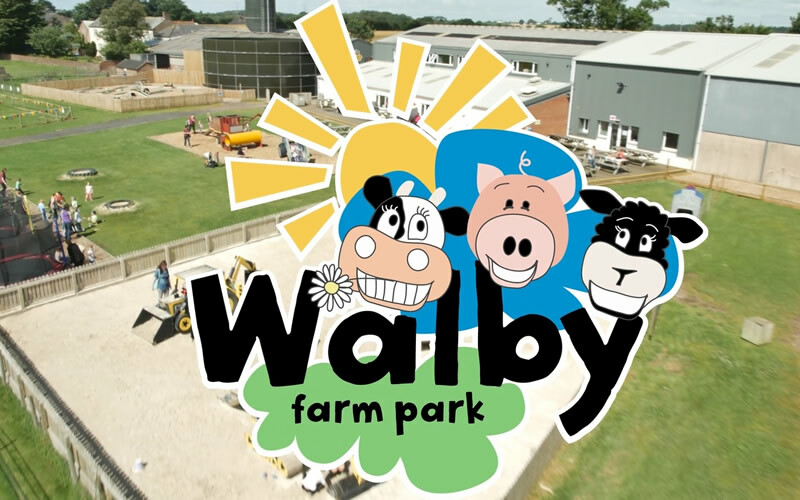 Activities for all ages, 3D cinema screen, galleries and exhibitions as well as a restaurant & café, farm shop and seasonal events from Easter egg hunts to summer outdoor activities to festive fun. 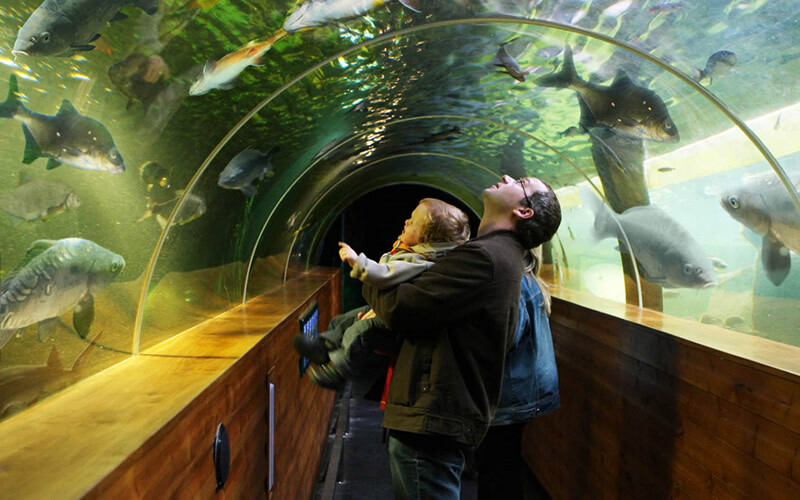 A great place to visit any time of the year and plenty to do indoors. Heading outdoors and Rookin House Farm is all about adventure with pony trekking, quad biking through to archery and then Penrith Golf Club, an 18 hole course with views over the Lake District fells. 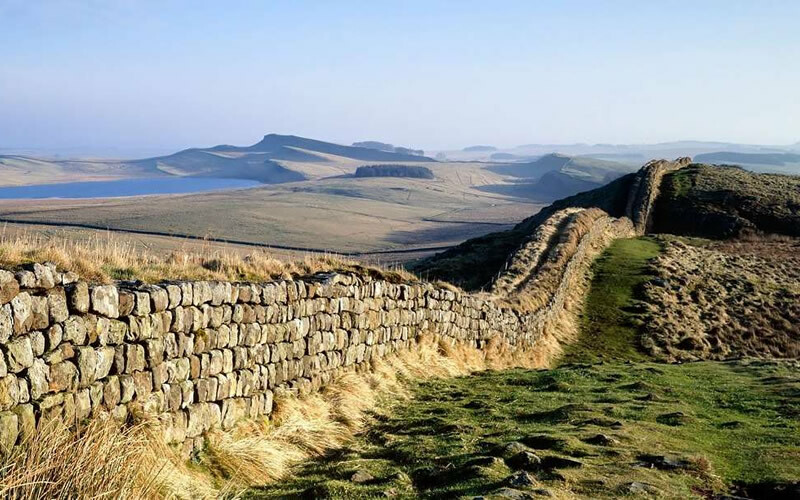 Although Mosedale End Farm is located in the Northern Lake District, the rest of the England’s largest National Park and newest UNESCO World Heritage Centre, including the full county of Cumbria, is easily accessed. 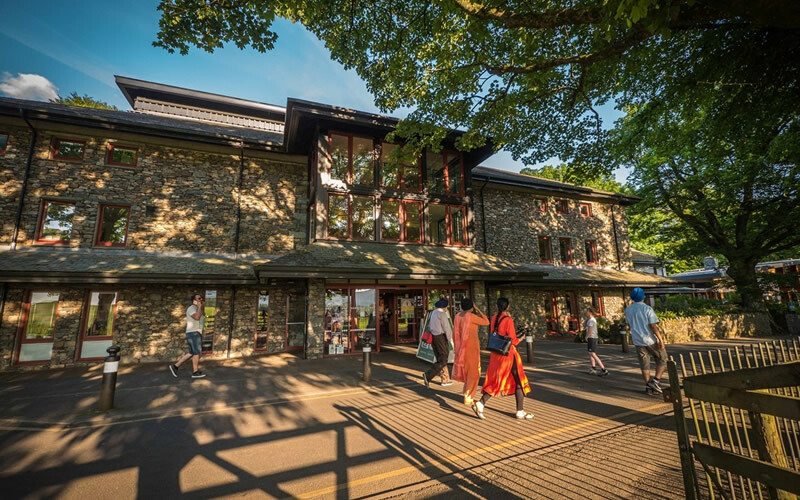 Head south to the pretty Central Lakes for Beatrix Potter’s Hill Top Farm at Far Sawrey, Coniston Water for everything Swallows And Amazons, Treetop Treks at Brockhole and the Lake District National Park Visitor Centre also Grasmere for Wordsworth Dove Cottage. Often overlooked, the Cumbrian coast is not far away at all with long stretches of sandy beaches including the heritage coast of St Bees (start of Wainwright's C2C walk) and Maryport further north steeped in maritime history. Also enjoy uninterrupted views of the Isle of Man and the southern Scottish hills. Also on the coast the Georgian market town of Whitehaven where The Beacon Museum offers stunning views across the harbour. Head north to Carlisle, the only city in Cumbria for Tullie House Museum & Gallery, the castle and cathedral and also the Carlisle Racecourse.